Today was another good day for International selling. 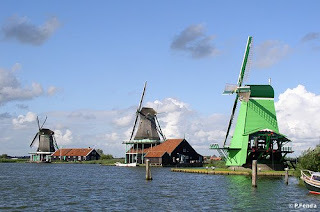 Don't you love the photo above of the windmills? The photo is from Noord, Holland in the Netherlands. (Click on the photo to go to the photographers photostream at Flickr) This looks so peaceful! I'm sure the person that purchased this cute Vintage Simplicity Pattern # 5023 will look great in it next to this lovely waterside setting! 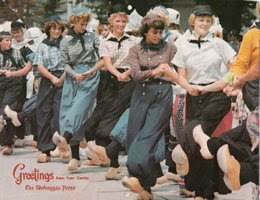 Doesn't it make you want to go out and find some Dutch Wooden shoes....well, I couldn't find the shoes but I found a great picture! Enjoy! Click to see what I'm selling this week on Ebay! Come and follow my blog along with these wonderful bloggers! 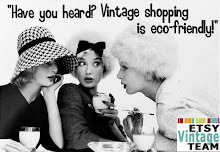 Proud Member of Etsy Vintage Team! A long-time love affair with sewing, crafting and collecting vintage patterns, material, linens and fabrics. Vintage items all have a past that is enchanting to me, whether it is a beautiful print in a piece of fabric or a wonderful button to add to a special piece of clothing or embellish a pillow! Stop by often to see what I've come up with! Come and be creative with me on Polyvore ! 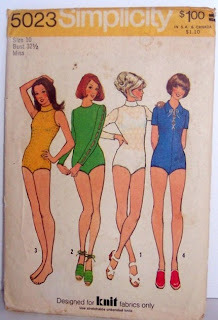 Check out all my Vintage Patterns & More - click below!